The Building Books Podcast is thrilled to welcome former national CBS News anchor turned positive psychology researcher, Michelle Gielan. Michelle is author of one of the bestselling Broadcasting Happiness. The Building Books Podcast is thrilled to welcome former national CBS News anchor turned positive psychology researcher, Michelle Gielan. Michelle is author of one of BenBella’s favorite books, the bestselling Broadcasting Happiness. She is also the founder of the Institute of Applied Positive Research, the Executive Producer of Happiness Advantage Special on PBS, and a featured professor at Oprah’s Happiness Course. Yeffeth and Gielan walk through her extraordinary career changes (from computer engineer to broadcast journalist to positive psychology researcher), and the life events that led her down the path to where she is today. Gielan debunks the myth that negativity sells, sharing a series of studies with Ariana Huffington that showed that just three minutes of negative news in the morning can increase your chances of having a bad day by 27%. Listen in to hear how Gielan’s book and influence are changing the way people and businesses like Nationwide Brokerage Services (and even BenBella Books!) are thinking. You may even learn a little about not just managing your own happiness, but the impact you have on those around you. 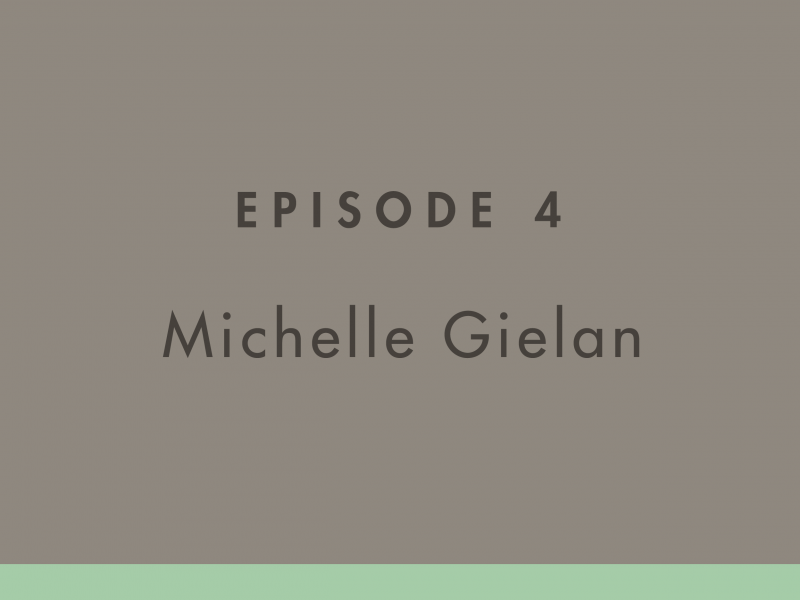 Michelle Gielan is a former national CBS News anchor turned positive psychology researcher. She is author of the best selling book, Broadcasting Happiness, which shows you how changing your broadcast changes your power. She's also the Executive Producer of Happiness Advantage Special on PBS and a featured professor at Oprah's Happiness Course. Her research has been featured in many different online and physical venues, including the New York Times, Washington Post, and Harvard Business Review. Glenn Yeffeth: Welcome to the Building Books Podcast. I'm Glenn Yeffeth, publisher of BenBella Books, and on this podcast, we will talk about ideas, authors and how publishing really works. Welcome. I'm so excited this morning to be talking to Michelle Gielan. Michelle is a former national CBS News anchor who's now turned positive psychology researcher and author of one of BenBella's favorite books, the best-selling Broadcasting Happiness. She's the founder of the Institute of Applied Positive Research and holds a master's through applied positive psychology of University of Pennsylvania. Glenn Yeffeth: She's also the Executive Producer of Happiness Advantage Special on PBS, featured professor at Oprah's Happiness Course. Her research has been featured in many different online and physical venues, including the New York Times, Washington Post, and Harvard Business Review. On a personal note, I love working with Michelle, she's the best. We have many authors who are great. We always have some authors who, maybe, are not consistent with the message we send. Michelle always is broadcasting positivity and happiness to everyone she works with, and she's such a pleasure, so I'm thrilled to have you on the show. Michelle Gielan: Thanks, Glenn, I'm thrilled to be here with you. Michelle Gielan: The feelings mutual. Glenn Yeffeth: Okay. All right. Well, I'd like to start, we'll talk about the book, we'll talk about your background and we'll talk a little bit about the process that you got there, but just to start with, your background, you started as a computer engineer, didn't you? Michelle Gielan: I did. I did. I followed in my dad's footsteps, and I was very happy to do so. I loved taking apart computers and problem-solving. The thing is, when I got out into the real world and realized that a lot of it required being behind a computer and not talking to anyone for 12 hours a day, I said, "Something's gotta give." A friend of mine put a bug in my ear about broadcasting, in particular, reporting where you would travel all over the world and investigate stories. I thought about it for about two years and then finally made the jump and tried it out. Glenn Yeffeth: That takes a lot of courage to go from that kind of introverted field to the total opposite. Michelle Gielan: Yeah, yeah, and I did it, and as I do all major transitions in my life, in a crazy way. I was overseas, I landed a job in London, this time in computer sales, because I thought the programming's maybe not my thing, maybe I'll try sales, it's a little more extroverted, I see this ad on the Channel 1 News website saying, "We need a new anchor or reporter, and we're welcoming submissions," so this was all the way back in California. I packed my bags, I move out there and I end up submitting a tape, which goes into a pile of about 6,000 other tapes, I was later told, yep. Michelle Gielan: Then I, in the meantime, get a job as a receptionist at a software company, irony, of all things, right? I hound the HR woman at this Channel 1 News station every week, and finally, on the last of all these weeks that I bothered her, I said to myself, "I'm not getting off the phone until she gives me an interview," so she probably wanted to get rid of me, too, so she agreed. I come into the station, they said that we had a fantastic conversation, and at the end, I left the offices on the studio lot, there was the actual studio, they were shooting a special show, I stuck myself in the studio audience, I already had clearance to be there, right, so I just went with crowd. Michelle Gielan: Why not? Governor Gray Davis was there being interviewed because they were just about to recall him from office. Glenn Yeffeth: Yes, I remember that. Michelle Gielan: I asked, literally, this kid behind me, because this was a station for young people, it was for middle and high schoolers, and so in the audience was predominantly middle schoolers, high schoolers, and so I asked this kid behind me if he had a good question and he said, "Yeah, I don't wanna ask it, you can take mine." He gave me one and I asked it during the first segment, and during the first commercial break, one of the producers came up to me and said, "You know, you might be good at this, maybe you should apply to be here at Channel 1," I was like, "I already did." Michelle Gielan: From there, I got a little bit of a break. I got some freelance work with them, and then everything blossomed from there. Glenn Yeffeth: Wow, that's a great story. What were the pleasures and what were the dissatisfaction's of being in broadcast? Michelle Gielan: Oh, I mean, in so many ways, it is one of the best jobs out there. You get to talk to anyone at any time about anything, right? Michelle Gielan: What you're often doing is you're meeting people at some of the biggest moments of their lives, at the highs and then, obviously, sometimes the lows, depending on the story, but if you say, "Hi, I'm Michelle Gielan calling from CBS News," you have full access to almost anything, right? Glenn Yeffeth: Right, that's exciting. Michelle Gielan: It's very cool. I also love the art of storytelling. I loved understanding, what are the key pieces of information? How do I package this in a way that people actually would care or feel emotionally moved by it, but really, what I love is talking about those stories that help us live our best lives, help us feel inspired to take the positive action in our own lives and to help our communities, and so that's why I got into broadcasting in the first place. Glenn Yeffeth: There's a conflict, isn't there, between the desire to do something positive for people and where the news seems to usually go? Michelle Gielan: Yeah, and that was the rub, in the end, that's why I left. I went from El Paso, which was my first job live five days a week, et cetera, to Chicago, and then to New York, and while at CBS, it was the same experience I'd had at the other places, and the same experience I think so many of my media friends were having, which is it feels like all negative news. It's not all, but it's a lot, right? It's, in my opinion, in big ways, negatively effecting people who watch it or read it, as well, so you don't really feel as if you're doing this massive service to the world, like I think so many of the journalists originally got into the field to do. Michelle Gielan: Within this position, there are ways to transform the stories and the conversation so that you're still focusing on the negative. We do wanna look at the world's problems, we can't turn a blind eye to it, but, at the same time, we're talking about potential or actual solutions that we can take, we're also talking about the positive things that are happening so there's a better balance there, so you really are getting, then, therefore a more accurate picture of the world. Glenn Yeffeth: It does seem like the negative things that happen are immediate, they're news, many of the good things that are happening are slow. The slow progress of defeating poverty and the slow progress against disease, and somehow, that's not news. You tried to pioneer happy news, or I'm probably getting that wrong, let's talk about that. Michelle Gielan: Yeah, no. I came to this realization, this was at the height of the recession, that if a six year-old were to walk into the room while my broadcast was on air, would I really want this child listening to what I was talking about? Right? Would I want this child to get this view of the world? The answer quickly became no, and it was in the midst of the economic downturn, and the worst of it, we're airing stories about suicide and foreclosures, and all these emotionally heartbreaking circumstances that people are living through, as we should, but we weren't telling the rest of the story, and so in the midst of all this, I pitched to my producer this idea of why don't we do a series called Happy Week? He's like, "Wow, these overnight hours have really gotten to you. You're crazy." Michelle Gielan: I said, "No, no, no, hear me out, what the idea is is let's talk, not just about the problem, let's talk about what we can do about it." We ended up inviting in experts from the field of positive psychology, which, it just happened to be that everyone had some connection there, I didn't know anything about it. Positive psychology is the scientific study of happiness and human potential, so in the midst of challenges, how do we be more optimistic, resilient, empowered and action-focused? We got the greatest viewer response of the year, and these were to things like if your home is facing foreclosure, what do you do? If you are having marital strain because there's financial issues at home, or your kids are not doing well in school, what kind of conversations can you have? Michelle Gielan: It was very action-focused. My favorite story was this guy, he writes in from Oklahoma and he says, "So I've fought with my brother about 20 years ago over money, we haven't spoken since, we've been estranged, and we live just 25 miles from each other." Glenn Yeffeth: Oh, that's sad. Michelle Gielan: I know, right? Then, what happens is his home is facing foreclosure, he hears, through the town grapevine, that his brother's home is facing foreclosure at the exact same time, he randomly turns on the news one night and sees this segment on rethinking financial challenges during Happy Week, he ends up rethinking this whole situation. He reaches out to his brother, they patch things up, they pull their resources, they save one of the homes and they move into the other. Glenn Yeffeth: Now, so did you put that on the air? Was that a piece or did that happen afterward? Michelle Gielan: This was subsequent to it, yeah. Glenn Yeffeth: That's great. That's an example of you really impacting people for the positive. Glenn Yeffeth: If that was so popular, why is it that news seems to not embrace that? Michelle Gielan: I think there's this misconception, both by journalists and by the general public, that negativity sells, negativity gets eyeballs. What we're finding, actually, in the researches that, first of all, you see that viewership and readership is dropping or changing from than it was even three years ago or five years ago, right? Also, it might, initially, get some attention, that negative headline, but people don't, necessarily, engage with it on the same level that they do, a long form, thought-provoking piece that not just focuses on the problem, but also talks about what can be done about it or what people have done about it. The other thing is that people respond differently to those two different types of scenarios. Michelle Gielan: I did a series of studies with Ariana Huffington, and we found, in our first study, that just three minutes of negative news in the morning can increase your chances of having a bad day by 27%. Michelle Gielan: Yeah, and the crazy thing about that, that's as reported, six to eight hours later, so that's at the end of your day. It's still having a negative impact, it's like a poison pill instead of taking a vitamin in the morning. Meanwhile, in the second study we did, we exposed people, some of them to just the problem, right, so this was an article about hunger in America, and the other group, we exposed them to the same article, but it went on to talk about things you can do in your community to help combat it, right? Gave you a sense of empowerment, optimism, hope, what we found is that those people in that group, when they were asked to do subsequent, unrelated tasks, right, so mind tasks to see their problem-solving abilities, they had a 20% increase in their abilities to do those things. Glenn Yeffeth: That's amazing. That really is amazing. Michelle Gielan: It's phenomenal in that what it shows us, especially with the business communities that I work with, I say to mangers, for instance, so in a very practical way, "If you have a problem at work," right, "you're restructuring, or a challenge hits, a client is not happy with the product that you've created, you can talk about the negative, you just have to not leave the conversation there, you have to move your team on to a discussion of what they can do about it. Give them a sense of agency and empowerment, and that will actually make them better doing this spreadsheet that they have to do later in the afternoon." Glenn Yeffeth: Every week, we have a weekly management meeting, and each person goes around and talks about whatever issues they have, but they always start with, "What's your good news for the week?" Glenn Yeffeth: That's inspired by you, and maybe some others, but I think it really makes a difference. It forces you, and this is something you talk about in the book, is to look around for what that good thing that happened is. Michelle Gielan: Yeah. I mean, it changes your brain. What we're finding now is that it changes business outcomes. One of the stories I featured in the book was this one that we did some research with Nationwide Brokerage Services, which is a [inaudible 00:12:16] of Nationwide Insurance, and we walked in the door, the president of the organization called our research fluff, for having this research, in general, fluff, yeah, that's fluff. Glenn Yeffeth: That's a nice start. Michelle Gielan: Yeah, so tough crowd. We presented some of the data that we have been finding and also that some of our colleagues in the field from all these major academic institutions, like Harvard, and Yale, and Penn have found, which is that you put a brain in the positive state, you make it more optimistic, and what we find is that it influences, in a positive direction, every single business and educational outcome that we know how to track, so you want more productive energy. We've found that focusing on a positive, being more optimistic gives you 31% more, decreases the negative effects of stress, like headaches, and backaches, and fatigue by 23%, increases your chances of promotion over the next year by 40%, and so he said, "Okay. Let's try some stuff out." Michelle Gielan: He was very open to it, so what we did there is, or I should say they did, because they really spearheaded it, they rewrote some of the basic business practices, it was a call center, they're working in sales, so some of the basic things that they do, and one of them, to your point, they rewrote how they did the morning meeting. They focused on two things: successes, small wins that someone on the team had had, or the entire team had had for the past 24 to 48 hours that, maybe, the entire team hadn't heard about, and then solutions. If there's anyone who needed a little extra support that day, they could speak up and their colleagues would rally around them and help them out with it, right? Very simple formula, and then we track them over time. Michelle Gielan: What we've found is, after the 18-month period of initially trying all these strategies, their new insurance application rate went up by 237%, their gross revenues went up by 50% and for that business, it was to the hundreds of millions of dollars. Glenn Yeffeth: This is really because of an attitude change driven by positive thinking and happiness? Michelle Gielan: Yeah, and normally, you have the HR professional at the organization say, "Well, it's also a bunch of things that we were doing simultaneously," but the president said, "No, we were very streamlined, we were very focused, we embedded happiness research into our organization and that was the game changer," so now he's one of the biggest proponents of positive psychology research. Glenn Yeffeth: There's so much out there about happiness, but what I loved about Broadcasting Happiness that was new, at least to me and I think new in books out there, is the emphasis on not just managing your own happiness, but the impact you have on those around you. Glenn Yeffeth: Talk about that a little bit. Michelle Gielan: Yeah. We are more powerful than we give ourselves credit for to influence the mindset of other people, the thing is that we often forget our power. I always ask it, when I present at companies, "How many of you have ever had someone say to you, 'You can't change other people'?" You can't change other people, right? My mom used to say to me, "You can't change other people, so if you're looking for a husband to marry, don't find a project," which is completely true. Glenn Yeffeth: That might be right. Michelle Gielan: Very good [crosstalk 00:15:23] us, but I've come to see, though, the basis for the advice, though, is maybe a little off, and here's the reason why, if we can't change other people, then that would, then, make the following statement true also: negative people can't affect us, right? Glenn Yeffeth: Right. That's a good point. Michelle Gielan: Negative people do. If you've gotta guy stressed out in the cubical next to you, it absolutely does affect us, unless we're amazing and steal ourselves against that, right? What I think, though, is that when we forget our power, then we forget the ability that we have to shift our culture at our companies, to change the conversation around the dinner table with our families. There's a great study that I love, this was done at the University of California of Riverside, they put three people into a room, these were strangers, they tested their mood before and after, and they asked them to sit in this room for just two minutes around a table in silence, and what they found was that the person who was most non-verbally expressive of their mood actually significantly influenced the mood of the two other people sitting in the room. Glenn Yeffeth: That is really interesting. Michelle Gielan: Crazy, right? They had their arms crossed and they have a frown on their face, they make the other two people more negative. If they're more positive and relaxed and smiling, they have that positive affect on other people, so that's two minutes in silence. Can we imagine what we can do if we're actually speaking up consistently? Following the research, if we use some of the tools that I've wrote about in the book, then we not only have that impact over culture, which they saw in Nationwide, but business outcomes, your energy level, whether or not you actually wanna go to work, it makes a difference all around. Glenn Yeffeth: Yeah. There almost seems to be an executive attitude of seriousness that they feel they need to project that almost can be dower. I won't go too far on my story, but I remember in this time, back in my previous life where I was a manager consultant, and I went to London to take over a European business, and they were just really in a slump, and I'm just lucky this way, by nature, I'm always smiling, and the impact people telling me that I had just by being happy in an environment where people weren't happy was tremendous, and it really helped part of the shift that turned around that business. At the time, I fluffed it off, but now that I see your research, I realized that that's a real thing, that attitude from the top, and even at every level, really has an impact on the organization. Michelle Gielan: It's so true, and sometimes people think that in order to be effective, they need to be extremely serious when responding to a problem, right? What we're finding is that it's really about maintaining an optimistic mindset and optimism was what you were doing there, right? It's having a realistic assessment of the present moment. We wanna understand the markets, the business, what's happening, why our product was not received well by clients, but in the midst of that, maintaining a belief that our behavior matters and expecting good outcomes, if we expect good outcomes, are mindful and hopeful of them, then we will work towards them, we feel as if we can make a difference. If we don't think it's gonna turn out great in the end anyway, so what's the point in actually investing in it or doing it? Glenn Yeffeth: Right, right. Basic advice for people out there, maybe in the leadership position or they're running a team, what are a handful of things that they can do to do a better job with broadcasting happiness? Michelle Gielan: Yeah. One of the most practical pieces of advice I give, and this is when I talk at companies all the time, the first thing I share with them is this idea called the power lead. This is taken from my days in media, right? If you're stacking a news broadcast and you're trying to pick your top story, normally, some producers would follow the old adage, if it bleeds, it leads, right? Michelle Gielan: For our own broadcast, I want everyone to take the opposite approach. A power lead is starting a conversation with something positive and meaningful, and it's all wrapped around this whole idea, and the whole book wraps around this idea, that we are all broadcasters. As you move throughout your day, you're constantly transmitting information to other people, and those messages that you choose to broadcast either create your success or they hold you back, and they significantly contribute to the culture at your organization or with your family, so the power lead is how do you answer when someone says, "How are you?" Michelle Gielan: Right? We've done a lot of work with Google, and I have lots of friends there, I love the organization very much, but one thing I poke fun at them for is if you say, "Hey, how are you?" Often times, people say, "I'm busy. I'm so busy." They sit down and they [crosstalk 00:20:00]. Glenn Yeffeth: It's a cultural norm that you say that. Michelle Gielan: Yes, and when you hear that, you say, your mind might say, "Oh, you're right, let me think about my stacked inbox," you know? Michelle Gielan: The list of things I have to do, so everyone's always busy. I say to them, "Oh, guys, I know you're so busy. It takes a lot of work to do those searches, I get it." When we start conversations off by complaining or by being stressed or negative, it does have an impact on the other person, and this is not to say we wanna ignore the negative. Of course, if you have a real problem and a real challenge, you come to your friend, you talk to them, it's okay to start off with that once in a while, but what we're talking about is what's your regular top story? What are you sharing with people? Glenn Yeffeth: What's your default? Michelle Gielan: Yeah. If you asked me this morning, oh, I'm great. I had breakfast with my son this morning, he was being so funny, you know, simple, meaningful pieces of information about yourself, and then what's fun is to experiment with it and watch how it changes the other person, watch what they respond to you with. I was speaking at a company in New York, and the manager said to me, this is before I even gave the talk, he had read my book and he said, "I tried the power lead out, you know what? I had two of the most meaningful conversations with people at the office that I have had in a long time." Michelle Gielan: It was, I mean, so cool, right? It's because he was coming with intention to the conversation, and then those people saw something different and then they responded to him differently. Glenn Yeffeth: That's right. That's right. It's very easy to get stuck in that feeling, that sort of general attitude of harass, and it leads me to thinking, some of us, just lucky genetics, we do look at things positively, some people just are pessimistic by nature. They have a negative way of seeing the world, it does seem to be pretty baked in. Glenn Yeffeth: How do those people broadcast happiness? Do they fake it till they make it? What's your advice for those people? Michelle Gielan: Well, I think for just about everyone, we have a choice, when it comes to happiness. I think there are certain challenges with some people that it's deeper than just making a choice first thing in the morning, but, that being said, just like you said, there are some people that come out happier and some people that are more pessimistic, and we have seen genes play a role. There's some scientists that believe it's about 40% that has to do with your genes, the other 50, 10% is, by the way, is external circumstances and how that influences your happiness and optimism, and then, the other 50% has to do with how you process the world, and how you process the world is malleable. What I would say is just recognizing that we have a choice, and then consistently doing activities that train our brain to look at the world in a more positive way can have an enormous impact. Michelle Gielan: There was a great study on grumpy, old pessimists, and anything that starts like that, I already love it. Glenn Yeffeth: That's right, that's right. Michelle Gielan: These guys were in their 60's and 70's, they practiced pessimism for decades of their lives, what the researchers had them do was three gratitude's, write down three new and unique things they were grateful for, and to keep that habit up for a period of time. At the beginning, they tested them and they were testing as moderate-level pessimists, after 14 days, they tested as low-level optimists, and those that kept the practice up for six months, now this is a habit, by the way, that takes 45 seconds a day, all right? Michelle Gielan: Those were testing as moderate-level activists. Glenn Yeffeth: It almost became a habit and I think almost for the people that always look at the world negatively, making that shift is almost more dramatic for them because, all the sudden, people are reacting to them differently, it opens up a new world for them, doesn't it? Michelle Gielan: Oh, sure. Yeah, don't be surprised if you get someone saying to you, "What's gotten into you? Why are you so positive? What are you doing?" Glenn Yeffeth: That's right. There are other people that will try, don't like the optimism because they feel like it is a comment on their pessimism, but that just shows that you are projecting this, having this optimism, and people, they're influenced even if they don't want to be. Glenn Yeffeth: Now, so we talked about the news and negative news and positive news, we're living in age now, it seems like, more than ever, I can remember in my life, where everyone is bummed out by the news. I don't wanna get into politics or anything like that, but any advice for those of us these days who are struggling more than ever with the, maybe, negative tone of the news? Michelle Gielan: Yeah. My husband, Shawn Achor, who's a happiness researcher also, he has a great phrase, so we've had lots of discussions about this around the dinner table, how do you protect your brain? How do you stay optimistic and resilient and not get depressed but be informed, because I want to be informed about what's going on in the world, right? He says, "Oh, you should have a media mote," and I love this idea. You build a mote around your brain for the first 30 minutes and the last 30 minutes of your day, so what that means is you wake up, don't grab your smartphone and start reading the news. Give yourself time to wake up, to establish your own mindset, maybe do a positive habit, like write down what you're grateful for or go exercise. Fortify your own castle, if you wanna keep with the analogy. Glenn Yeffeth: That's a metaphor. Michelle Gielan: This is on the fly. Yeah, and then also give your brain a break for a wind down session at the end of the day so that you're not going to bed with politics or some disturbing story halfway across the world on your mind. The reason that this is, I think, so important is that in order to combat some of the world's greatest challenges, in order to solve them, if your brain is not in a good place, you are not the best capable to do all that, right? Michelle Gielan: Meanwhile, if you can focus your brain on pieces of inspiring information, or those solutions that we talked about when it comes to challenges, and not bombarding yourself with negativity, I think that can be really powerful. The other piece of advice I always give is get your news online. The reason why I say that is you can quickly look at a headline and say, "I'm not clicking on that." Glenn Yeffeth: That's right, that's right. You said something interesting before, which is that maybe people have a quicker reaction to negative news, sort of catches their eye, but a more profound effect for news that is positive and shows people improving their lives, but seems like social media is driving us in the other direction, isn't it, because it's all about clicks and that negative response, that outrage, or whatever, is what drives the finances of that business, so have you seen a shift, in the last five years, with the rise of Facebook and Twitter and maybe the outrage mentality that so many of us seem to get wrapped up in? Any thoughts about that? Michelle Gielan: Well, I found one study extremely interesting, this was out of the University of Pennsylvania with Jonah Berger and Katherine Milkman, they were looking at the New York Times, they studied it over a three-month period and they looked at the articles that people were sharing that made up the most emailed list, and what was really interesting was that people were significantly more likely to share the positive stories over the negative ones, and they were much more likely to share the stories that had practical, useful information. Michelle Gielan: Yeah, so while people might say, "Oh, I'm paying attention to more negative news," or the negative news gets more clicks, when you talk about the lifetime of the story, or the likelihood to share, people are more likely to share positive, practical information than those quick, negative stories. Glenn Yeffeth: Right. It almost seems like we have some work to do as a society to shift the incentives for the media business around those more profound interests versus the most superficial interests. Michelle Gielan: Yeah. We are investigating something that, this is just a pet project for me that I think is fascinating, we were looking at how when your brain is primed with, let's say, a negative story versus what I call transformative journalism, which is solution-focused, inspiring content, how that influences advertising effectiveness, so let's say you read a story, and around it, there's some product advertisements, how are you gonna feel towards those brands? How likely are you going to be to purchase those brands, depending on whether [crosstalk 00:28:40]? Glenn Yeffeth: Oh, that's so interesting. Michelle Gielan: Here's what we found, so with some products and some circumstances, it actually, to be exposed to the positive story, can increase your likelihood to purchase by 30%. Michelle Gielan: Yeah, so we're just in the initial stages of this research, which is why I have not gone to rooftops. Glenn Yeffeth: Right, that's big news. That is big news, yes. Michelle Gielan: Yeah, to shout it. Glenn Yeffeth: It would be wonderful if the dynamics of the human brain were actually conducive to us making the right thing happen, so that what advertisers will benefit from is the same things that us, as humans, will benefit from, in terms of our mental state. That sounds very promising. Michelle Gielan: Yeah, it tells me that those advertisers who decide to choose to do more sponsored content, for instance, that's more positive, that's actually a really good move. Glenn Yeffeth: Let's talk a little bit about your consulting business and the work that you've done. Just tell me a bit about that. Michelle Gielan: I absolutely love the work because I get to see all this research in action at these organizations. More than anything, I love hearing stories from people, about how they've put this research into practice and what it's done for them, for their teams, for their families. What we do is, so we have the research arm of our organizations, we do things like we did at Nationwide and Google, and a handful of other organizations recently, and then I present the research at companies, and then we do long-term consulting projects with companies to hatch out a master plan for them and then track the results over time. Glenn Yeffeth: The core of your business is shifting the mode to Broadcasting Happiness and measuring the impact on the true financial measures of the business based on that? Michelle Gielan: Yes, I work with people to help them build a more optimistic and resilient mindset and then to communicate that to their teams and organizations in a way that transforms business outcomes in a meaningful way. Glenn Yeffeth: You're in a rare position to be doing something that helps business, helps people, you must be very excited. Michelle Gielan: Yeah, I am. I'm happy. Glenn Yeffeth: Broadcasting Happiness, talk to me about how that book, that intersects with your business. Has it been helpful? This is more for maybe a little bit more inside baseball, in terms of publishing, how does the book interact with your business? Michelle Gielan: It has been extremely helpful on two fronts. First of all, someone can pick it up and read it and then decide if this is a message, for instance, that they wanna share at their organization. I have a lot of event planners, CEO's, or team leaders, read it and then say, "We would love to share this message at our company, let's call Michelle." On the backend, what has been really helpful, and I always say this on pre-talk phone calls when I'm talking with the event organizers, is I would really love for everybody at the talk to have a copy of this book to take home with them because I only get to scratch the surface during a one-hour presentation, right? Michelle Gielan: This is their chance to go deeper into the research. If they're enthusiastic about the book, maybe they pass it on to somebody, so I wrote it with a course in mind, so as you go through, each chapter is its own nugget of information. Every chapter starts with a concept and a story and then ends with the ways you can put this research into practice. It's organized very much in that way. Glenn Yeffeth: It really is, and I remember when the first draft came in, just how well-structured it was, how well-written it was. Glenn Yeffeth: What was your process for writing the book? How did you develop it? Glenn Yeffeth: If you can remember. Michelle Gielan: Yeah. I wrote it the first year after our son was born. Michelle Gielan: When he was 11 months old. We were living in Virginia at the time, when he was 11 months old, we were thinking about moving to Dallas, we rented a place, we is my husband, myself and our son, Leo, we rented a place here in Dallas to check out the city and then it was also book-editing time, so in one week, Shawn and I edited the entire book. Anytime Leo would go for a nap or was sleeping, we'd go run to our computers and everything. He was an incredible help, and then we loved working with you guys because the process, it was friendly, it was easy, and you have an incredible team that help guide it. Glenn Yeffeth: Oh, thank you. Michelle Gielan: Yeah. I feel like writing a book, its actually hard, but the process was as easy as if you [crosstalk 00:33:19]. Glenn Yeffeth: Now, did you carve out a certain time in a day that you wrote or was it random for you? Michelle Gielan: Yeah, I read about all these people that would do that. Michelle Gielan: Maybe that's why the book took longer to write than it should've, I did not do that. Glenn Yeffeth: Most of those people are not as happy as you are. Michelle Gielan: My amount was I would go to a local Starbucks, I would put on my headphones, I had a playlist that got me amped up and excited, so I put that on and then I would try to get myself into a zone. I'd have a double, triple-grande caffeine something. I have such respect for those people that get up first thing in the morning at 5:00 a.m. and write for five hours. I am not one of them. Glenn Yeffeth: Right, right. A big believer in power of caffeine. In fact, in our logo is a little book and a cup of coffee, so I'm validating your method. Glenn Yeffeth: For other people out there, maybe, who are thinking about writing a book, or have a business, or have an intellectual platform, anything that, now, in retrospect, advice you might have for those folks? Michelle Gielan: I would say that the biggest resource you have are the people that you interact with, so to share your ideas with them, what you think the book concept could be or how to put it into practice and then hear from them how they might already be doing some of this stuff, those are the stories that I think the book can be based on, and so collect those early and often, and write them down. Keep people's contact information. Being, basically, like a reporter, right? Michelle Gielan: Going out and hearing those stories, and then I think it's really good to have new and novel research, but I'm also a researcher, so of course I would say that, right? Michelle Gielan: I think that sets someone apart from just saying, "Oh, I feel as if this is the answer, based upon my one data point." It's good to have your own personal moving story, but in addition, I think it's good to have research to understand how much this is effecting other people. Glenn Yeffeth: I think that's a fantastic point. I mean, there's so much out there that contributing something truly original is part of your book, not only is exciting for the reader, but is also a great hook for the media. Michelle Gielan: Yes. Yes. The other small piece of advice that I've been thinking about more recently is when you are in the process of writing the book, I would almost suggest not going to the bookstore. The reason is because I think sometimes people can say, "Wow, there's so many books and everything's been written." The reality is everything has not been written because your personal experience is something new, right? Glenn Yeffeth: That's absolutely right. Michelle Gielan: Unless it excites you and it gets you happy to go to the bookstore, because one day your book will be there, maybe just take a six-month break, or something like that. Glenn Yeffeth: Yeah, that's a great point. Now, what was the time period? Was it a year that you wrote it? You said [inaudible 00:36:18]. Michelle Gielan: Yeah, I soft wrote stuff where I wasn't as consistent for about six months, but I'd say when I got serious, start to finish, yeah, the whole process took a year, from the time when I got serious to the time that it was out. Glenn Yeffeth: Maybe it's your training as a reporter, but the writing is fantastic. Glenn Yeffeth: We always put a lot of energy into editing, but this just came in really strong, so that's nice. Glenn Yeffeth: For anyone out there, not trying to pitch the book too heavy, but this is a great book. For anyone that is part of an organization, wants to make a positive impact, both on other people and on their own lives, it made a big impact on me and I'm sure it made a big impact on almost everyone who read it, it's a great, great book. I know you put so much knowledge and heart into it. At the very end of the book, you did this journalist manifesto. Talk a little bit about that. Michelle Gielan: Yeah, that's my finance. The journalist manifesto is a way that we can transform how we cover the news to a way that's it leaves people feeling more empowered and resilient. I talked a little bit about the research that we found, so I shared some of that, and then I shared, if you're a journalist or a news consumer, how can you report the news or get the news in a way that will just transform your mindset and not leave you feeling depressed? We have, actually, an updated version of it now, since we've done numerous studies since the book came out, and that's available on my website. Glenn Yeffeth: Oh, great. Okay. Give people the URL, what is the website? Michelle Gielan: To find that is it's TransformativeJournalism.com, and that'll lead you to it, just auto-sends you to whatever the word is. Michelle Gielan: To my website, which is MichelleGielan.com. Glenn Yeffeth: Perfect. What's in the future for you? What are you planning on working on? What directions is your business going in? Michelle Gielan: I have a fantastic new project, which is our little girl. She surprised us, she came into the world two months early. My water broke on Super Bowl Sunday evening, so Shawn says I needed a little extra attention. Yeah, so he put me in an Uber. Glenn Yeffeth: It's hard to compete with the Super Bowl, but you did it. Michelle Gielan: No. He put me in an Uber and I went to the hospital thinking, "Oh, I'll just be there for a couple hours." Glenn Yeffeth: He put you in an Uber? Michelle Gielan: No, I know. He says, "Well, I got her an XL." Yeah, no, it was bedtime for Leo, so I said, "I'll handle this, it'll be fine. I'll be back in a couple hours, I'm sure it's fine." Six days later, Zoe burst into the world. Michelle Gielan: She's perfect and wonderful after two months in the NICU, she's phenomenal. Anyway, so that's my new project for a little while. Well, I guess for the rest of my life also, but when I fully go back to work, I'm really interested, right now, in the topic of resilience, a standalone, right? I focus more on optimism during the first book. What I'm thinking about, I mean, I've been thinking about another book for a while now, but I'd love to understand more about people's response to stress, and then those people who are exceptionally resilient, given the biggest challenges in their lives. Michelle Gielan: Why is it that some people bounce back better than others? What is it about their thinking, and then how can we import some of that into our own lives? Glenn Yeffeth: Wow. That's a big area, isn't it? Glenn Yeffeth: There's some great literature out there on that. Michelle Gielan: Yeah, and so that's where you don't go to the resilient section of the bookstore because then you see what everyone else did. Glenn Yeffeth: Right. I mean, the world is changing so fast that, while there's wisdom in those older things, there's also need for a more modern perspective, isn't there? Michelle Gielan: I think so, because if you don't steal your mind against some of the messages that are coming into it, you might be negatively affected and then that has a ripple effect on your whole life, so I think yeah, I think there's more work to be done for modern times. Glenn Yeffeth: When you're not in a business context, when you're at home with your friends and family, do the lessons of Broadcasting Happiness still relate to you? Michelle Gielan: I think so. Shawn and I, as a married happiness researchers, which we could do a whole nother hour on that. Glenn Yeffeth: That's a lot of pressure actually, isn't it? Michelle Gielan: Yeah. We very quickly know when one or both of us are not living the research, and we try to battle test some of this stuff at home, doing the gratitude's around the dinner table, or when we put Leo to bed at night, we say, "What are you grateful for? What was the best part of your day?" Glenn Yeffeth: That's so great. Glenn Yeffeth: No humans are. Michelle Gielan: No. Yeah, actually, it's a disorder, we don't need to study these people. Michelle Gielan: I think the difference now, after having studied this research for a decade, is that I more quickly realize when I'm off, right? When I'm not as optimistic and resilient and empowered as I could be, and I'm more quickly able to get back to what I call my place of peace using those tools. It's like going to the gym, right? If you go consistently, you're in better shape, and so with the stuff, I practice it a lot, and so I think now it's had a net-positive impact on my life, and it makes it easier for me. I still have more work to go, for sure. Glenn Yeffeth: Right, of course, but it sounds like a form of resilience. Glenn Yeffeth: All right. Well, Michelle, I wanna thank you so much for doing this, and I wanna thank you in particular for taking time out during your maternity leave. Michelle Gielan: Yeah. Oh, for you anything. Glenn Yeffeth: It's above and beyond, so thank you so much. This was really fun, and it's been just such a pleasure talking to you and working with you over the last years. Michelle Gielan: Thank you, Glenn. Same to you. Thanks so much. Glenn Yeffeth: All right, have a great day. Thank you for listening to the Building Books Podcast. If you enjoyed it, please leave a review on iTunes or wherever you happen to listen to it, or share it on social media. If you're an author who wants to submit a proposal or pitch to BenBella Books, please go to BenBellaBooks.com, click on the For Perspective Authors button and that'll lead you through our little form that makes it really easy to submit to us. Thank you.